All information and images on this site are subject to copyright. It is illegal to download any information or images. Should you require any information then please use the contact us form. 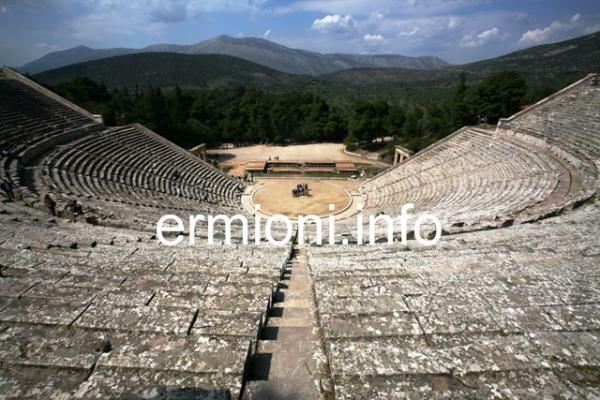 This website has been created to give you information about Ermioni. The new site is continually being updated, so that you will have up-to-date information about Ermioni, the wonderful surrounding area of Ermionida and the historic Argolida (Argolis) region of the Peloponnese, in Greece. The site will give you a flavour of interesting places to visit from Ermioni and a choice of accommodation, to make your visit an enjoyable experience. 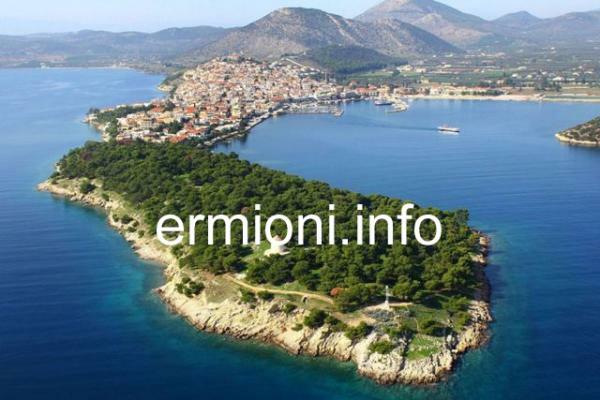 Information on this site is factual and accurate, as it has been created by people who actually live in Ermioni. Most guide books give little information about Ermioni, which causes the visitor to miss out on so many interesting places and activities that are available. We hope this site will give you an opportunity to discover the beauty that Ermioni has to offer. In the Ermioni section you will find a wealth of information about this Greek coastal town, including the old village with its two main churches, library, the museum of history and folklore and the toy museum. On this page you will find information about all the places to eat, including cafes and bars, plus some Greek food that you could consider trying, the wonderful beaches that surround Ermioni, rock bathing from secluded bays and coves along the Bisti and Mandrakia area. Read about Ermioni and the three main parts that make up the town: Limani, Mandrakia and Bisti. There are dates for your diaries of all the festivals that take place in Ermioni and the surrounding area throughout the year. If you wish to go out and about, there are many places of interest that you can visit. To give you an indication of where all these places are situated, there is a section with all the relevant maps. Finally, should you require medical attention, then there is even a section on contacts and where to go in the event of emergencies. In Places to Visit you will find all the places of interest surrounding the area of Ermioni. A car is recommended for most places to visit, even for the island of Spetses, a car, taxi or bus is advisable to get to Kosta, for the sea crossing to the island. For the island of Hydra, the visitor can catch the boats which sail directly from the Limani port and harbour, or from nearby Metohi. For Poros, one can either travel by car along the coastal road, or take the same boat as for Hydra and Piraeus. For all places of interest, journey times and distances, in kilometers, are given. Included in each place to visit, there is further useful information. The Argolida region is full of historical places to visit, including: Epidavros, Nafplio, Tiryns, Mycenae, Argos and Asine to name a few. Surrounding towns, villages and beaches are easy to get to from Ermioni, including Porto Heli which offers water sports. In Rentals you will find a small selection of character homes, modern apartments and family villas, in and around Ermioni. These have proved popular with European and New World visitors, who want something different, authentic and experience living within a traditional Greek community. 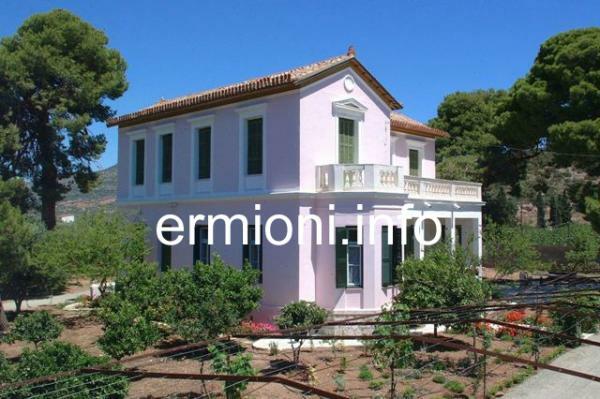 You might be thinking about buying here in Ermioni, whether it be land or property. If so, visit Real Estate. This site is not licensed to operate as a real estate operation, but can provide useful and honest information about homes and land for sale. If you are considering buying or selling, we can give you plenty of valuable impartial information and advice, legal contacts for you to choose, to ensure you do not encounter any potential difficulities, which sadly still happen today with some operators. We can also show you examples of renovation work by recommended builders, as there are still varied standards of workmanship being offered. Like everywhere in Greece, stray animals need help. Please visit GreekSTRAYS where you will find information about what goes on here in Ermioni and how you may help or get involved with stray animals. Your help and support would be greatly appreciated. Donations are desperately needed to help these friendly friends, who can become quite attached and trusting, but sadly, with some ignorant cruel people around, their lives are short lived. We feel that we can make a difference, in fact we have made a difference. We hope you enjoy www.ermioni.info If you have any comments, info or questions, then please use the contact us form.